6 Responses to New Book!!! I received my copy the other day…I showed it to my beautiful friend Linda and she made it her own. She’s very persuasive. Heading back to Amazon. Good man. You know it makes sense. Wishing you much success on your new project. Looks intriguing. 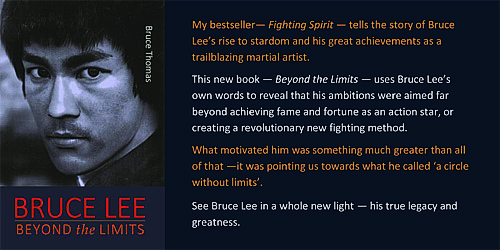 “Fighting Spirit” was a great biography – I’m looking forward to seeing a more conceptual/spiritual exploration of his work. It’s good read — it’s the book I wish I’d read 30 years ago! !